Sharing a yet another LBD post, welcoming my favourite season of fall. 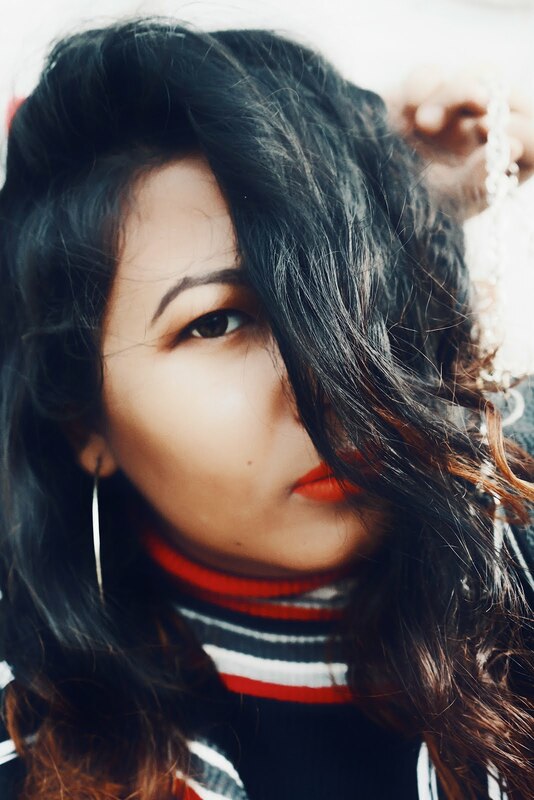 Its always fun to welcome this season with dark look. We all know Fall is all about the dark colour and lets be real holiday lights have to shine more then us. 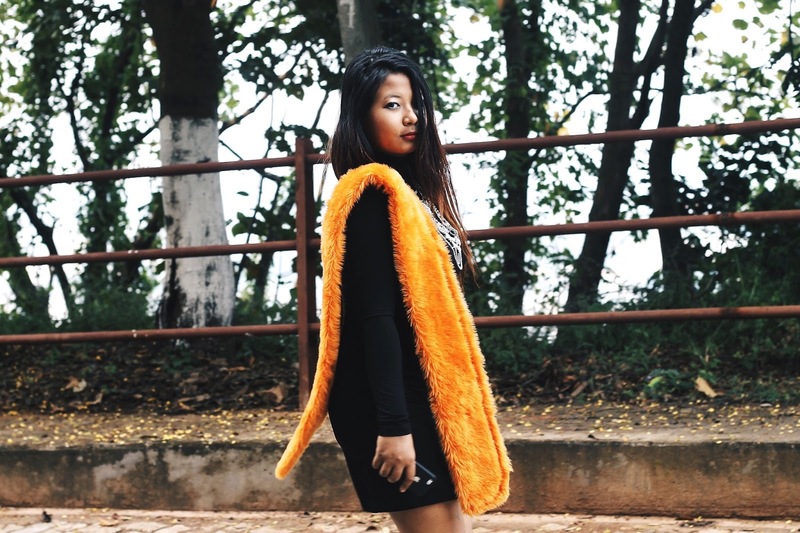 To pop up my look i added my DIY Orange Fur scarf. Its always fun to add something fun on your whole black look. 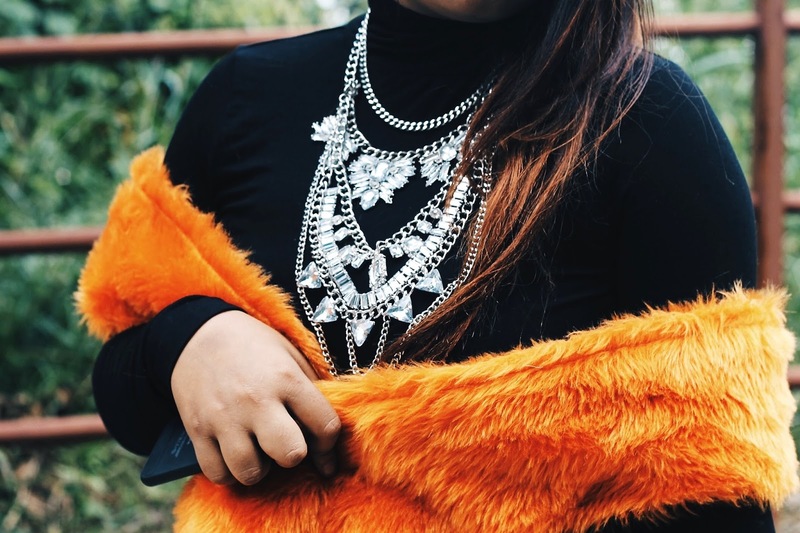 In this post am featuring my new favourite neckpiece which was recently gifted by happiness boutique. The Brand Happiness Boutique is mostly known for their jewellery as well as for their clothing that has got both modern to vintage style but the best thing about this store is the minimalistic look going on with their all items that easily goes with everyones style. The well made jewellery of this store feels like no one will ever regret purchasing it. So do have a look. Your blog is super nice by the way! Your necklace is a great piece! You look very pretty in this black dress! Love the shoes! Have a great weekend! Love your DIY foux fur scharf! Necklace is very pretty, goes well with a dress. Great outfit! ooooh I love that fur piece! I've been dying to get one, and that color is so fun! You look insanely gorgeous here. Love the pop of orange. The colour is so bright, and I love it! that orange wrap is so cool! awesome outfit! you look fab! Great outfit, I really love your necklace! You look great! I'm loving your outfit, it's so glam! I love long sleeve dresses and yours is no exception! Love the striking orange stole. Totally makes the outfit! 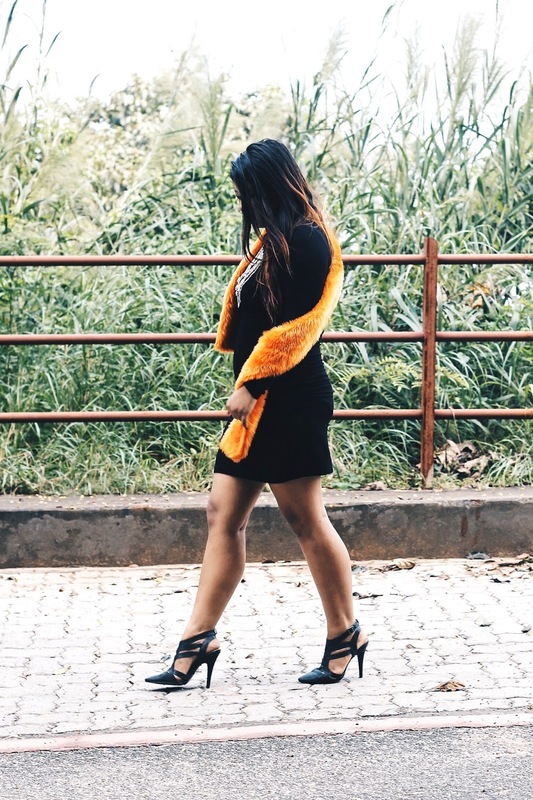 Love this orange fur pop of color over this pretty black dress. You look really great in these heels too. Lovely look.